Cloned humans returning to earth in UFO’s. In the Christian science fiction novel Millennium Soldier: The Ancient Ones by Brevia Publishing, this is a distinct possibility. According to its author, there may be more truth than fiction in this Christian book. It is possible that in human history, an evil genius cloned humans and sent them off-world with orders to one day return and exterminate the human race.That is just one of the issues artfully posed by a very different and very controversial book put out by Brevia Publishing Company. They have published a book by author Voyle Glover entitled Millennium Soldier: The Ancient Ones. This book goes where few Christian books dare go theologically. While this is a work of fiction, the author believes that there is a biblical basisÂ for the questions and issues raised in the novel. For example, Glover notes that traditionally, Christians believe that there have been, since Christ, unbelievers. Some of those populate the churches and are called tares. In his opinion, without it would be foolish to believe that a being such as Satan, who has mimicked and tried to copy most of what God has created, would not have made a serious effort to copy mankind. The book has some fascinating dialog scenes. There are dialogs between the main character, Cubal, who is not a Christian and has no desire to become one, and between beings who claim they once died and now live. But, probably the most fascinating conversations are between the main character and the being Christians call Satan, who takes the form of a man, not something too implausible since God took the form of a man called Jesus. Lucien is a very powerful man, mysterious and very charming. The author explained his desire to show that Satan is actually a being who can be incredibly charming, noting that he was once an angel of light and suspects that he’s preached in some pulpits from time to time. A sequel is in the works according to the publisher. The goal is to broaden some of the issues raised in the book, such as the notion that humanized aliens walk amongst us. The author believes that too few Christian fiction books exist which explore the genesis of the Nephelim and the ramifications of the alterations to the human DNA. This book raises the specter of an evil being who not only cloned humans, but spawned other creatures and sent them off-world with an agenda: Return one day and help destroy all of humanity.” The author believes his book will give a different perspective on the findings of man-like creatures in various burial mounds over the years. Some scientists believe these are proof of the evolutions of mankind. But, according to the themes developed by the author in his book, these were merely early failures by Satan in his efforts to clone humans. 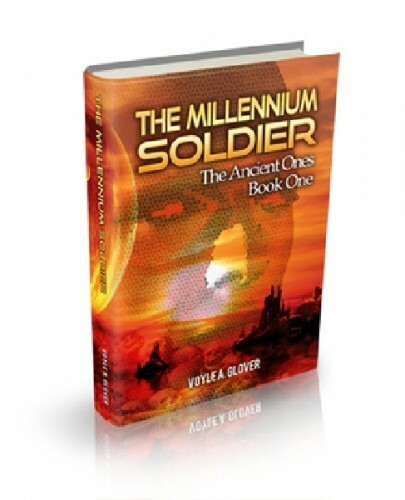 http://Millennium Soldier: The Ancient Ones.